It's good of you to write up a little bit about the battle at Puebla. It's a celebration of culture and heritage that Detroit celebrates in a big manner! And thanks for the recipes! 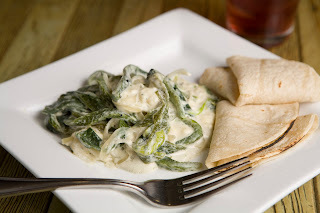 Rajas Poblanos con Crema & Caldo de Hongos sounds yummy!! Wish you Hot 'N Happening Cinco!